RESULTS from the 2012 “Bridge To Beach” Stand Up Paddle race in Sydney. The race was held Sunday 18th March and was taken out by Gold Coast young gun and Naish Team Rider, Jake Jensen. 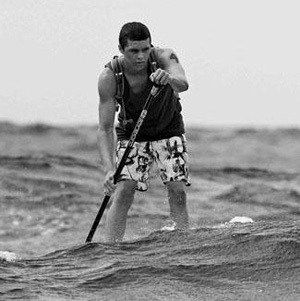 Jensen was paddling the stealthy new Naish Javelin MC14, the first time the new hollow-core board has been seen in the wild.